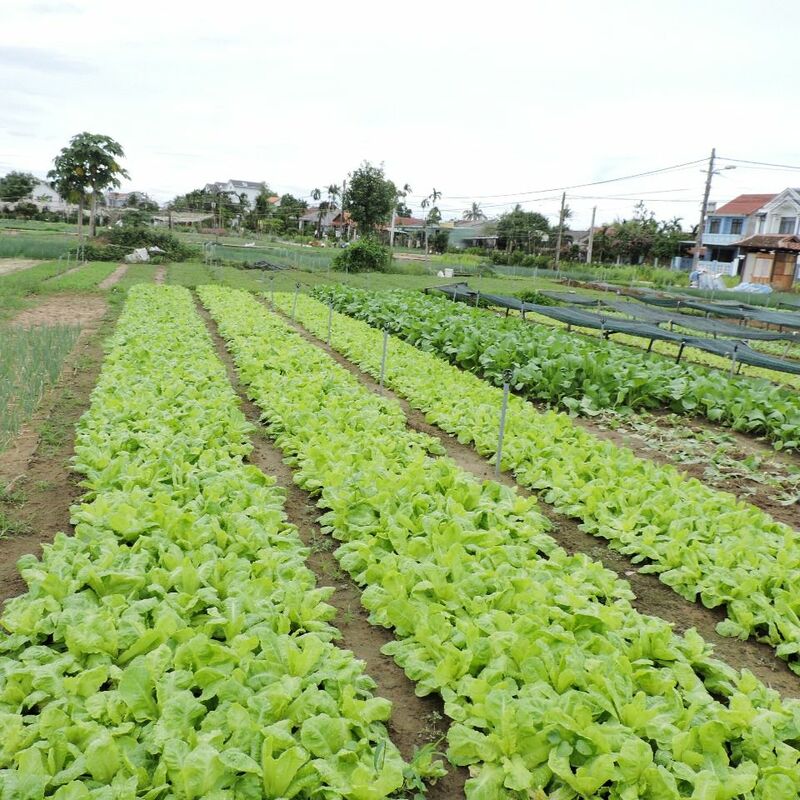 About 150 farmers and 400 owners live here and cultivate about 20 types of vegetables and herbs including mint, lettuce, basil, cilantro, broccoli among others. 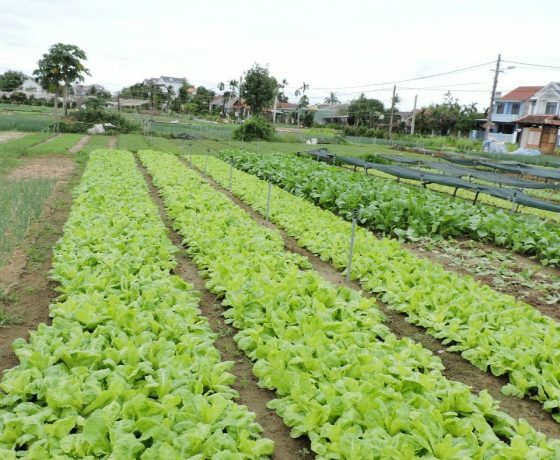 More than 40 hectares of land and 8 tons of Tra Que vegetables are sold every year. 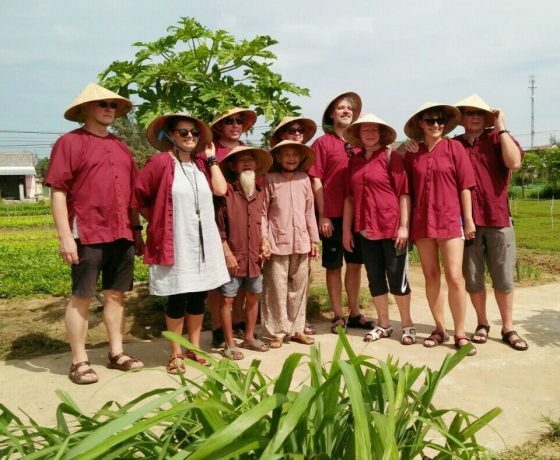 The vegetable growers do not use pesticides or GMOs, instead they rely on a seaweed that is found in the local river that is harvested by boat every morning. 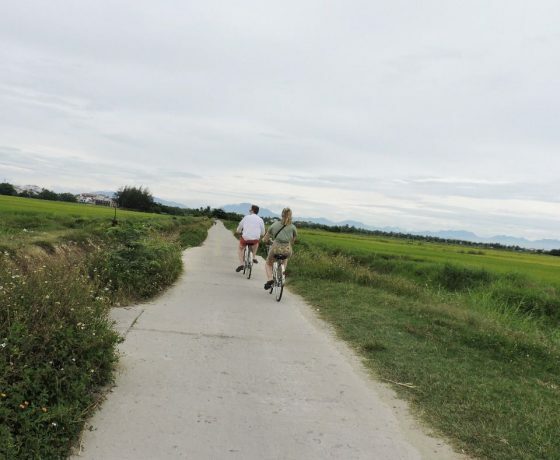 At 8:30am, meet your tour guide at your hotel begin going to the Hoi An market and biking to the countryside. 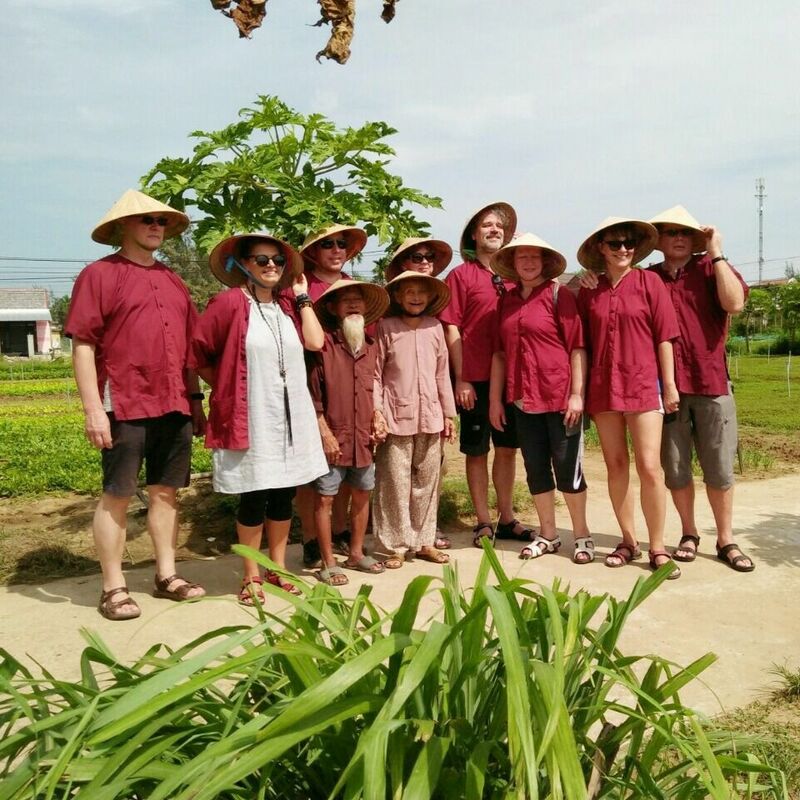 On arriving at Cẩm Thanh village, take pictures of the beautiful countryside views such as the shrimp farm, duck farms, cows, birds, and buffalos. 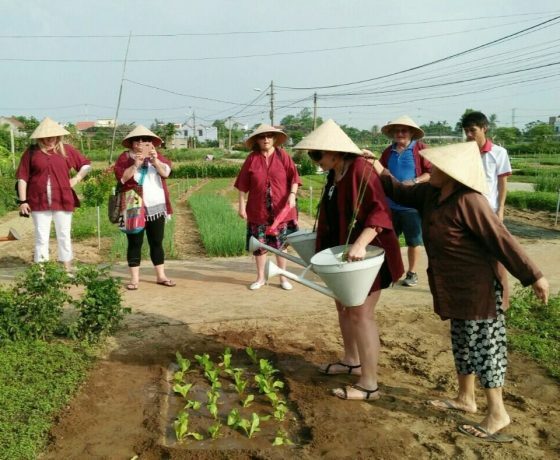 Next, cycle to beautiful Green Rice Fields and Japanese Tombs before arriving that the Tra Que Herb Garden Veggie Village, where you will be given a welcome drink and have the opportunity to walk around the garden village and meet local farmers. 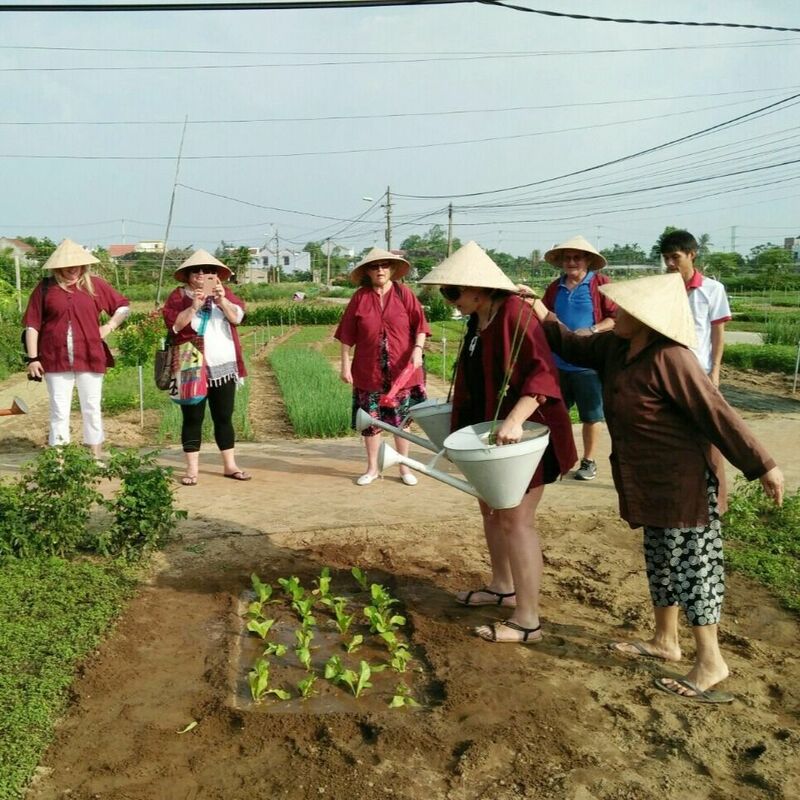 There, see the activities of local famers in a village that is famous for many kinds of herbs and vegetables which spice and cheer up all the dishes of the area. 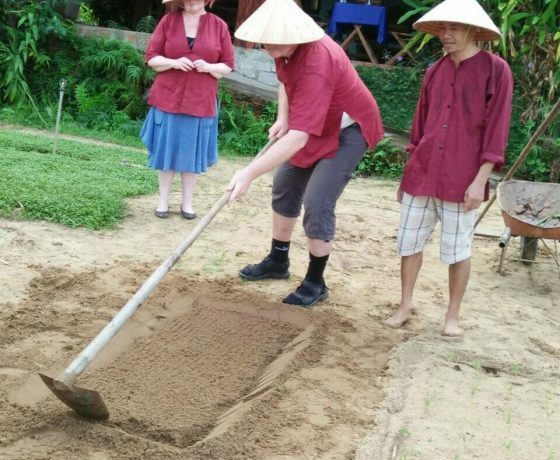 Next, in true Tra Que tradition, take a cooking class and learn how to make two delicious local dishes: Crispy Vietnamese Pancakes Bánh Xèo and Tam Hữu Spring Rolls. 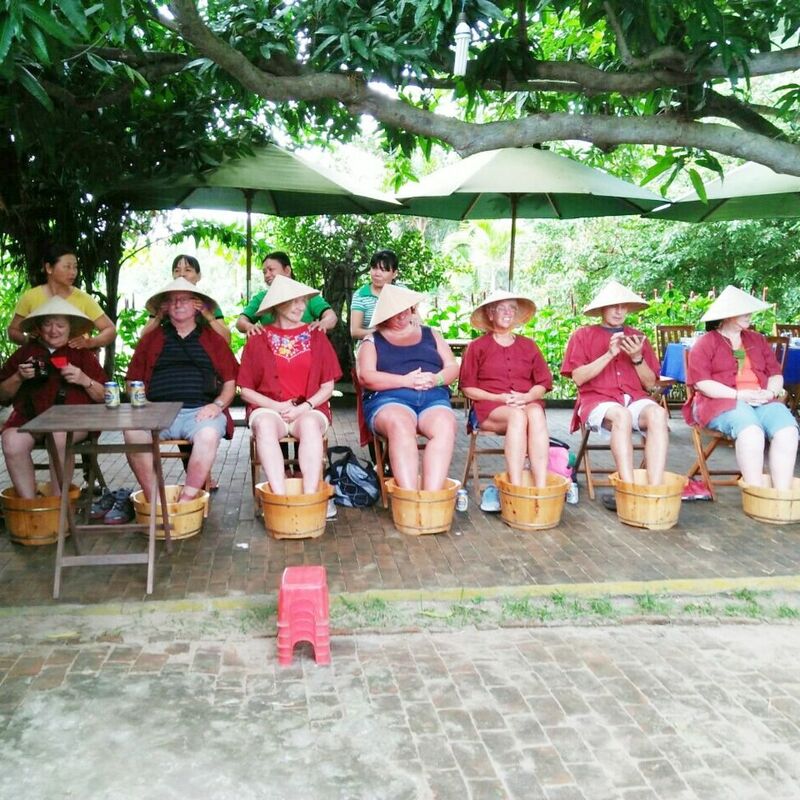 Pick you up at the hotel and depart to Tra Que village by bicycle. 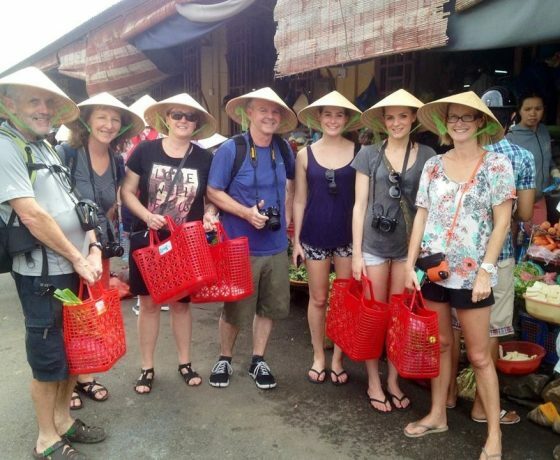 You can explore local market firstly. 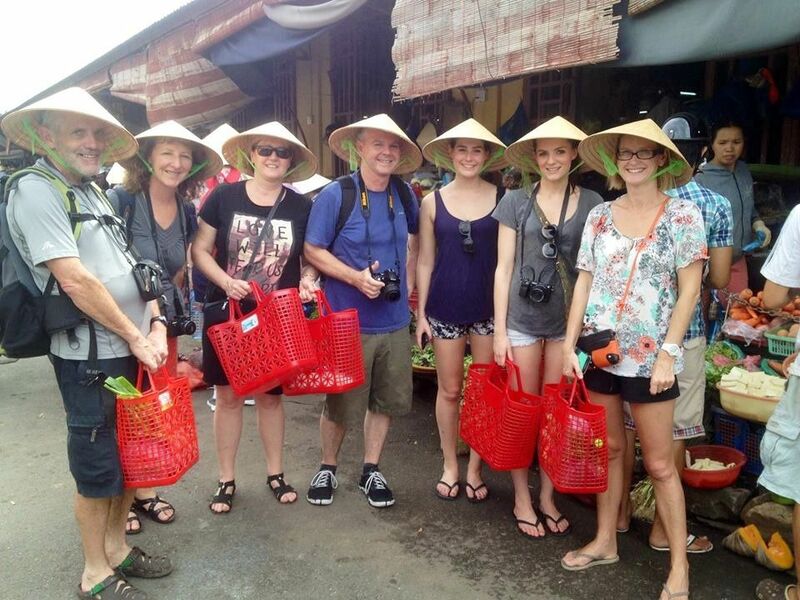 You can buy something from local market. 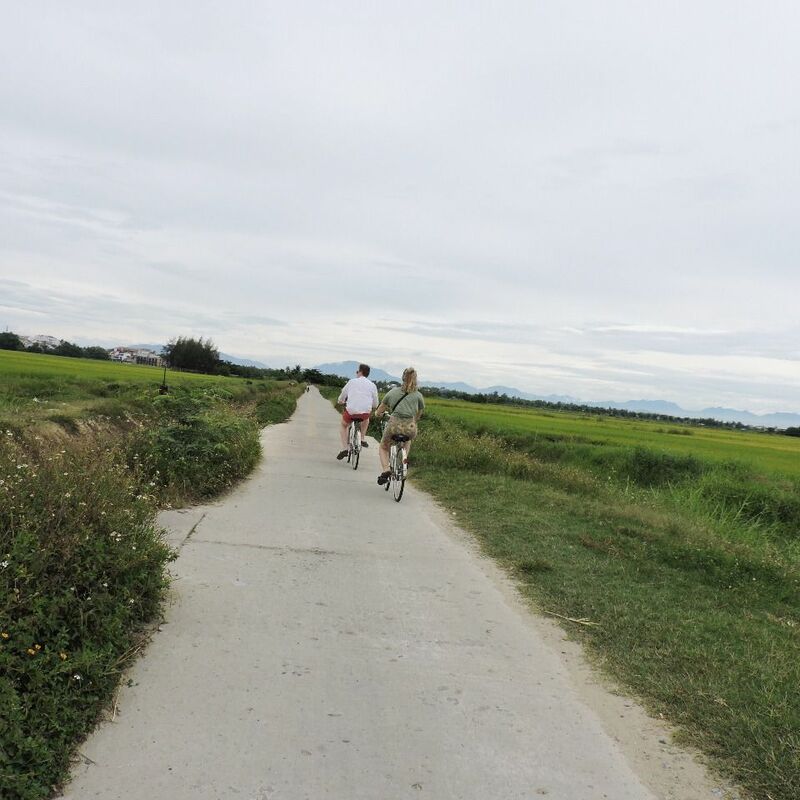 Then, spend a day leisurely cycling though the scenic countryside of Vietnam, the noise of the city a distant memory. 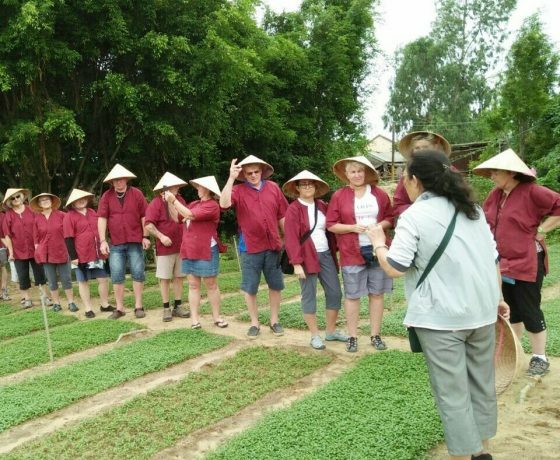 After passing through town and along quiet roads, you will come to Tra Que vegetable village where you will see how farmers grow vegetables. 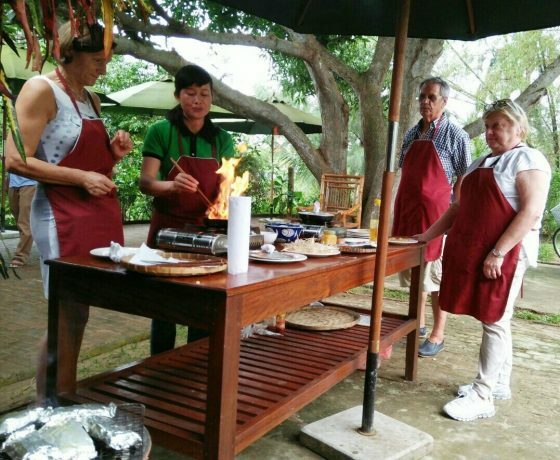 You will also get the chance to see clearly how some ingredients of the cooking courses are grown there. 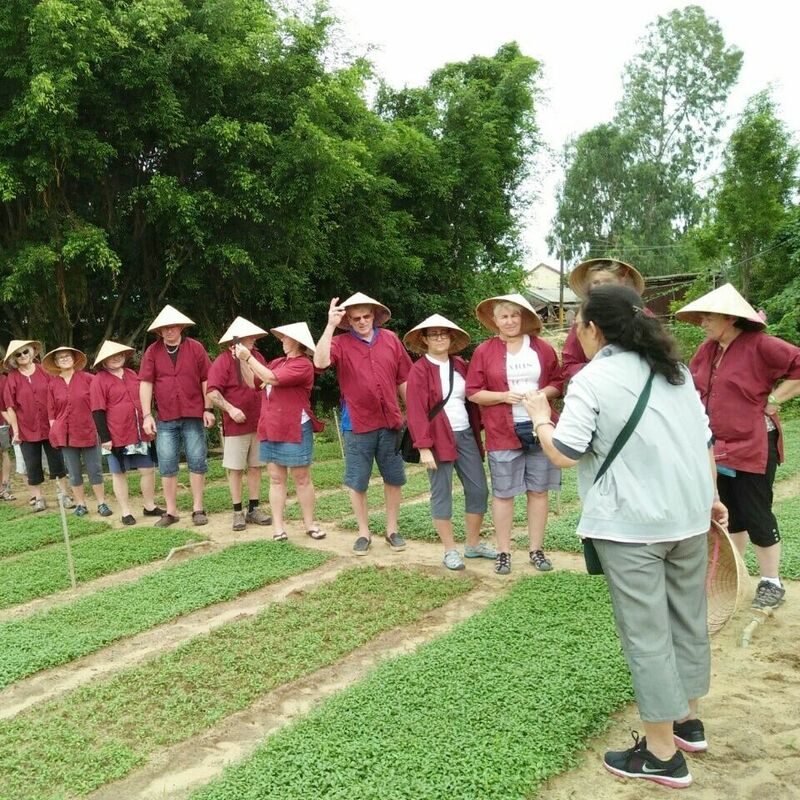 At Tra Que village you will taste basil juice, and after your welcome drink you can stroll through the village and meet local people who work in the garden. 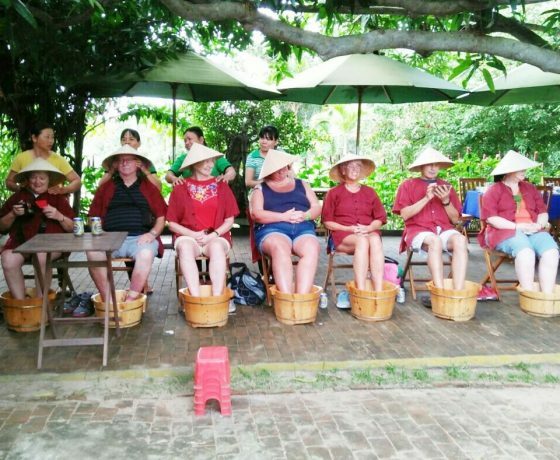 After working on the farm you can relax a traditional therapeutic foot bath with medicinal herbs. 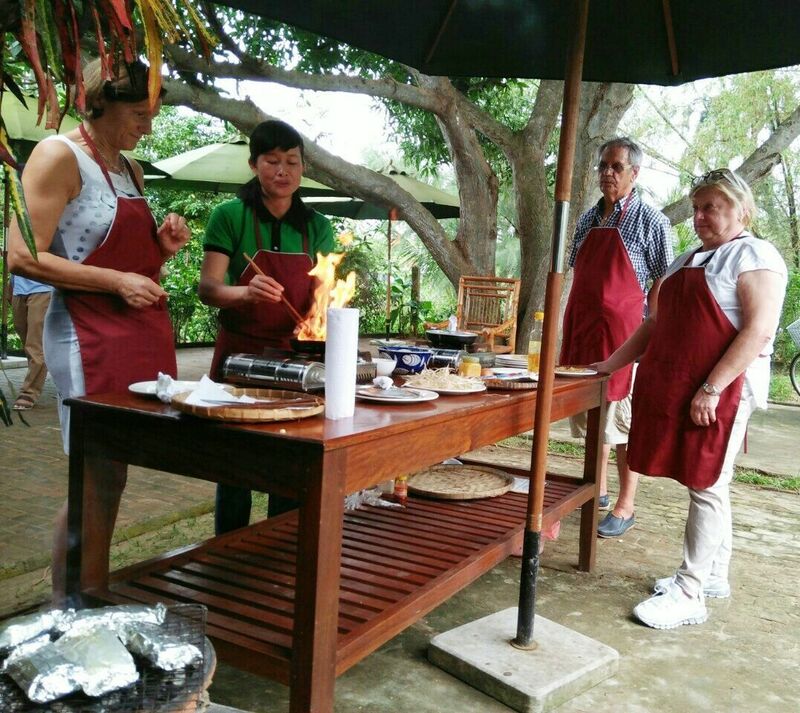 Your next adventure is to prepare lunch with a local family. 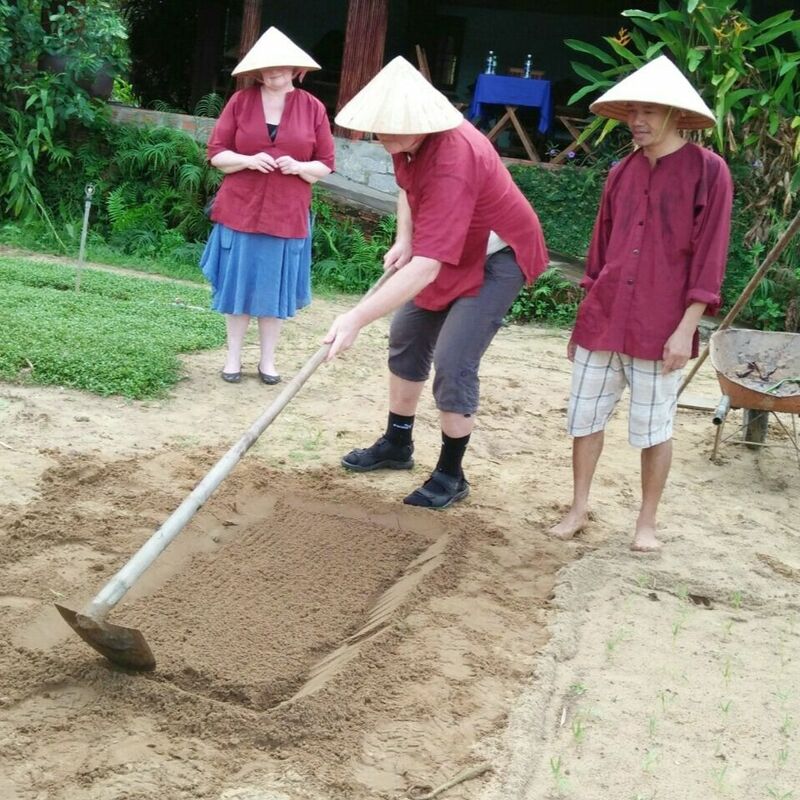 You will learn how to make ‘Tam Huu’ spring roll and ‘Banh Xeo’ pancake, which you will then be able to enjoy along with other local Vietnamese delicacies. Hotel Pickup: Pick up will be at the hotel lobby, please wait for our driver about 10 minutes. Cancellation: Cancellation at least 24 hours ahead before the date of activity booked to receive full refund.